Discover more about private investigators capability, employment and regulations in El Paso. If you need a private investigator to assist you with a discreet, confidential private investigation please fill out a Private Investigator Free Consultation. Our private investigators are committed to providing affordable, reliable service in El Paso and report their results in a timely, accountable manner. Contact us today to begin your case. An El Paso private investigator must apply to the Texas Private Security Bureau and pass licensing requirements, including a thorough background check, like any private investigator in Texas. While many El Paso private investigators come from a law enforcement or military background, it is not a requirement for employment as a private investigator. Often times a degree in Criminal Justice or other security and investigation work can be just as important to prospective employers. You can rest assured that any El Paso private investigator assigned to your case with ICS is fully licensed and insured in accordance with Texas state laws and participates in the required continuing education. It is important for you to have this assurance, as it is equally criminal in the State of Texas to hire an unlicensed private investigator as it is to operate a private investigation company without a license. El Paso is the seat of El Paso County, and sits on the Western tip of Texas, bordering Mexico. Across the border from, and conjoined with, the City of El Paso is Ciudad Juarez, combining to form a metropolitan area of over 2 million people. El Paso became a border town in 1848 when the Treaty of Guadalupe Hidalgo established the Rio Grande as the division between Mexico and the United States. 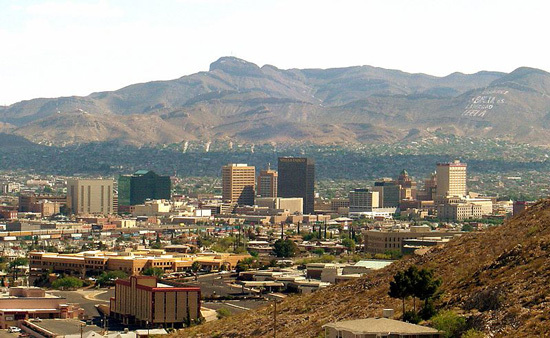 El Paso consists of a population that is largely bilingual and culturally similar to its sister city to the south, Ciudad Juarez. The two cities comprise the largest bi-national border community in the world. ICS provides a full range of investigations for the City of El Paso, and has agents in every major metropolitan region. Whether your case involves fraud, adultery, missing persons, child custody, extramarital affairs or infidelity, asset searches, surveillance, background checks or any of our other services, ICS has the resources and expertise to find the answers you need. Do you need a background check performed on an individual in the City of El Paso? Are you in El Paso and need a background check performed elsewhere? ICS can provide this service and many others. Background checks are one of the most well known and useful investigation tools a private investigator can provide. Sometimes a background check is all a client needs and other times it is merely the first step into a more in-depth investigation, providing clues and leads for the private investigator and client to pursue. If you need an El Paso background check or an investigation involving one, the professionals at ICS are ready to work for you to provide the discreet and confidential service you need. ICS has been helping people in El Paso just like you get results since 1967. ICS is proud to welcome Lyndon Lueders, owner of ICS of Texas, to the team of professional private investigators that are already a part of the ICS private investigator network. Texas Association of Licensed Investigators, Inc. The following information is a summary of the Texas Private Security Bureau document "Company License Application Instructions and General Requirements for Licensing". Please see the full document for more detailed and complete information. Texas law requires that a private investigator must be properly licensed to offer or engage in private investigation or security services. Offering to provide private investigator services without a license, or hiring an unlicensed private investigator to perform investigations carries a criminal penalty in the state of Texas. Private investigation companies that are licensed by the Private Security Bureau of Texas may consist of a single person or may involve several thousand employees. Each type of company can be identified as one of the three main types of companies; sole proprietorships (single owner), partnerships (two or more owners), and corporations (established through the Office of the Texas Secretary of State). • not have charges pending for or have been convicted in any jurisdiction of a Class misdemeanor within the past five years, for an offense determined by the Board administrative rule to be disqualifying. These requirements apply to all licensed private investigators and applicants for a private investigator license. There are additional requirements that must be met by the manager of a private investigation company. All applicants for a private investigator license undergo criminal history checks with the State of Texas and the Federal Bureau of Investigation. In addition, a licensed private investigation company must maintain, on file with the Private Security Bureau of Texas, a certificate of proof of liability which must be kept in full force and effect at all times. Reciprocity: Texas does not have private investigator reciprocity agreements with any other states. However, if a private investigator must conduct brief business in Texas, it is generally acceptable. Testing: Testing is required for a Private Investigator License in the State of Texas. Continuing Education: Continuing education is required for the renewal of a private investigator license in the state of Texas.